I AM the mother of a four-year-old girl. She loves a lot of the things that little girls her age often love. At first I thought, 'oh yes, it's all a bit of a cliche' - the pink, the rainbows, the penchant for glitter. But on further reflection I realised these four-year-old girls are on to something. You'd think at only four, they'd have so much to learn about life, but I think they know everything they need to know about living a happy life, right now. Four-year-old girls see the world for what is truly beautiful. It's all about butterflies, rainbows and flowers. They've cottoned on to some of our world's most gorgeous creations and know to appreciate them. Seems pretty darn enlightened to me. The world is just that little bit more amazing when you believe in magic. Whether it's fairies or unicorns or Peter Pan, you never really grow up while you believe. Maybe our little four-year-old fairy fans have found the fountain of youth? Whether it's singing in the bathtub, prancing around in a pink tutu or drawing yellow suns and stick figure families, four-year-old girls aren't afraid to show their artistic side. In this sometimes dark, depressing world, we all need art to enrich our lives, and these girls know how to let their creativity shine through. How many children's storybooks are about animals? Oodles of them, that's how many. And rightly so, because four-year-olds adore bunny rabbits, horses, kittens, puppies, polar bears and penguins. They've latched on to the knowledge that animals are special and will love us unconditionally. You haven't lived until you have loved an animal (and been loved in return). Clothes don't need to be boring and four-year-old girls know this more than anyone else. 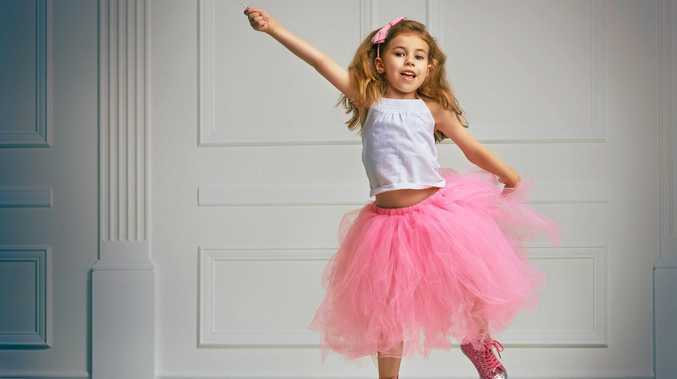 If their clothes sparkle or twirl or swish, if they're colourful or fluffy or frivolous, they will want to wear them. Preferably all at once. It's what's inside that counts but what we wear on the outside can make life that much jazzier. Four-year-old girls are fascinated by the world and want to know all about it. They're enthusiastic, not cynical or jaded. The world is an exciting place for these little explorers and they know there's always something new to discover. I would like to add the proviso that I am aware that four-year-old girls are all individuals, and not all of them are passionate about pink and ponies and princesses. However many of those in my acquaintance do seem quite keen on these things. And also many wonderful four-year-old boys pursue these passions too and I take my hat off to them. There's so much we can learn about being in the moment and living life well from our children. Forget relativism, existentialism or any other ism for that matter. I'm going to live life like a four-year-old girl. Well, at least I'm going to give it a twirl.